An update to HTC Blinkfeed for Android renamed the application to Sense Home. The new app brings BlinkFeed, HTC Themes, as well as HTC Sense Home widget under one roof. 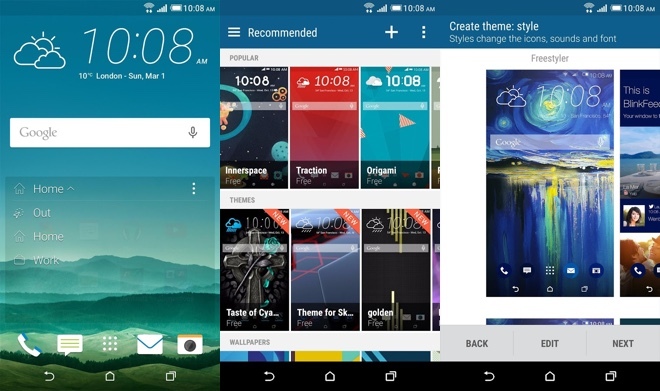 HTC Themes functionality allows users to change icons, colors, wallpapers, and even the sound bundles of their device. The functionality is part of HTC Sense 7 that debuted alongside the One M9 flagship. Interested? Hit the source link to download and install HTC Sense Home on your Android device. Feel free to drop us a line with your impressions in the comments.